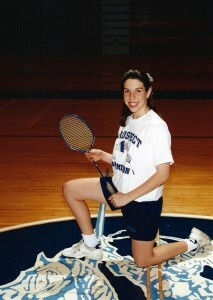 Like many of you, Shannon didn’t start playing badminton until high school. She grew up in Arlington Heights, IL, and attended Prospect H.S. and placed fifth in State. While attending the University of Illinois she started and coached the first ever Illini Badminton Traveling Team. Through her efforts, badminton received school funding for the first time which allowed their team to attend tournaments around the country. While studying abroad in England, Shannon competed on both the University and County teams. She was named All-American, and led the team to a third place finish at Collegiate Nationals. She graduated with a bachelor of fine arts degree in graphic design, then moved to California to train at the US National Training Center (NTC). She trained twice a day and competed in numerous National and International tournaments while working full time as a graphic designer. She attended the NTC for 2 years until it closed down. It became difficult for her to find coaches, sparring partners, and a training location in the United States. 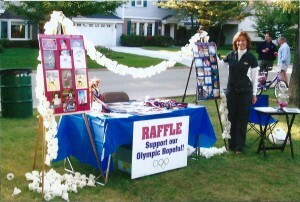 Shannon and her family went on a major fundraising campaign, gathering support from local businesses, organizations, and families so that she could continue her training. The US Olympic Committee took notice and supported Shannon with a $7,000 William E. Simon Grant for the Support of Athletes to help her further her career. 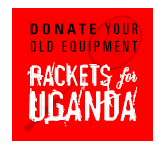 With the help of her sponsors, Shannon relocated to Denmark to train at the International Badminton Academy (IBA) and competed in International Tournaments. Elite players from around the world move to the IBA for the opportunity to train at the highest level with one of the world’s best coaches. Her training at the IBA helped her qualify for four consecutive World Championships in women’s singles, including a top 32 result in 2005, and achieve her career-high ranking as #69 in the world. In 2008, Shannon was one spot shy of qualifying for the Beijing Olympic Games. She was also a bronze medalist that year at the Pan AM Championships. By 2009, Shannon was the highest ranked American badminton player in the world in women’s singles. Due to the financial burden of the Olympic qualifying process, she has since retired and returned to Chicago to open the Shannon Pohl Badminton Academy. Shannon has trained under some of the world’s finest coaches from England, Denmark, Malaysia, China, and Indonesia and she is eager to share her knowledge with you. While living in Denmark, she was head coach of two Danish professional teams. In 2010, 2014, and 2015 she was the Assistant National Coach for Team USA when they won the Gold at the Jr. Pan American Championships. Shannon is the highest level USA Badminton Certified Coach (Level 2 High Performance Coach) in the Chicagoland area. She is also an Athlete Ambassador for World Sport Chicago and was also a badminton coach at Golder College Prep for many years, the only IHSA badminton team in the city of Chicago. Founded in 2009, the SPBA began receiving national recognition in 2012 when twenty-two SPBA players qualified for the 2012 IHSA State Championships. This included 13 state medals for SPBA players and an IHSA Team State Championship for several dedicated students! 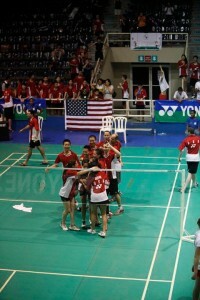 Shannon was named 2012 USA Badminton Developmental Coach of the Year. In addition, the US Olympic Committee selected her as one of three finalists amongst all sports for the 2012 USOC Developmental Coach of the Year. This was the first time a badminton coach has ever been a finalist to receive this prestigious award. This year, the SPBA is making national news again. 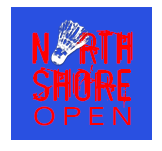 Shannon organized and hosted the first Junior National ranking tournament in Midwest history and as a result, the percentage of girls ranked nationally increased by 29%. The SPBA currently trains several IHSA State Medalists and 102 nationally ranked players and counting. The SPBA Elite Gold & Silver Teams are also busy preparing to compete in the Junior Nationals this summer.